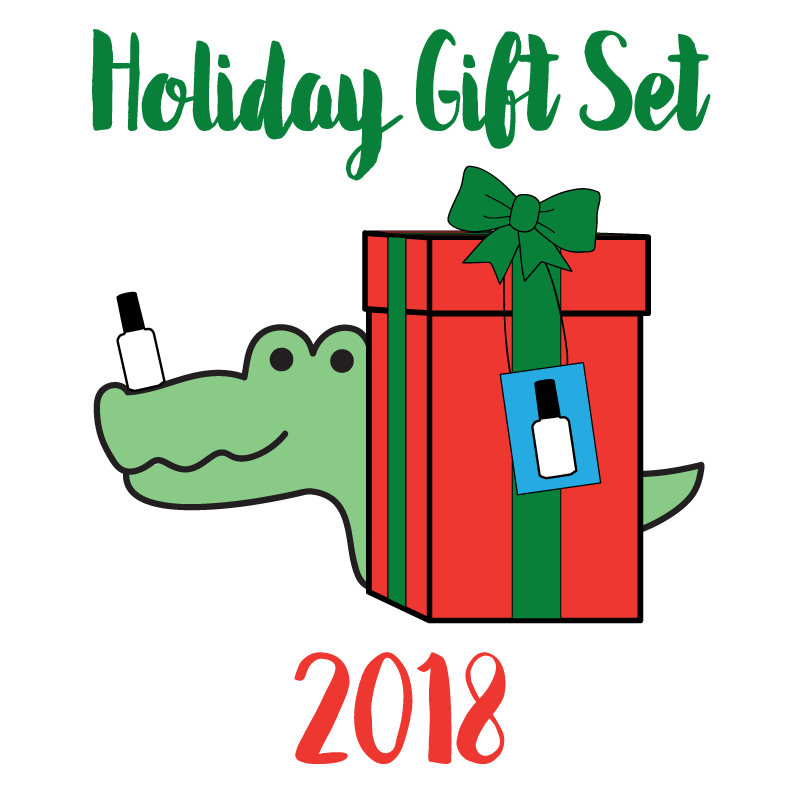 Holiday Gift Set 2018 - One day left to order! 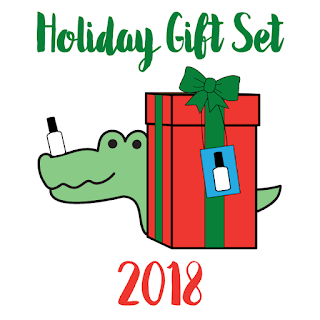 Tomorrow (Wednesday) is the last day to order the 2018 holiday gift set! If you've already placed your order, thank you very much. <3 It feels so great to be back and working on polishes for you again. If you are interested in ordering the set but haven't yet, it is available to purchase here! Today's launch will begin at 9 pm EST in the C&C shop. 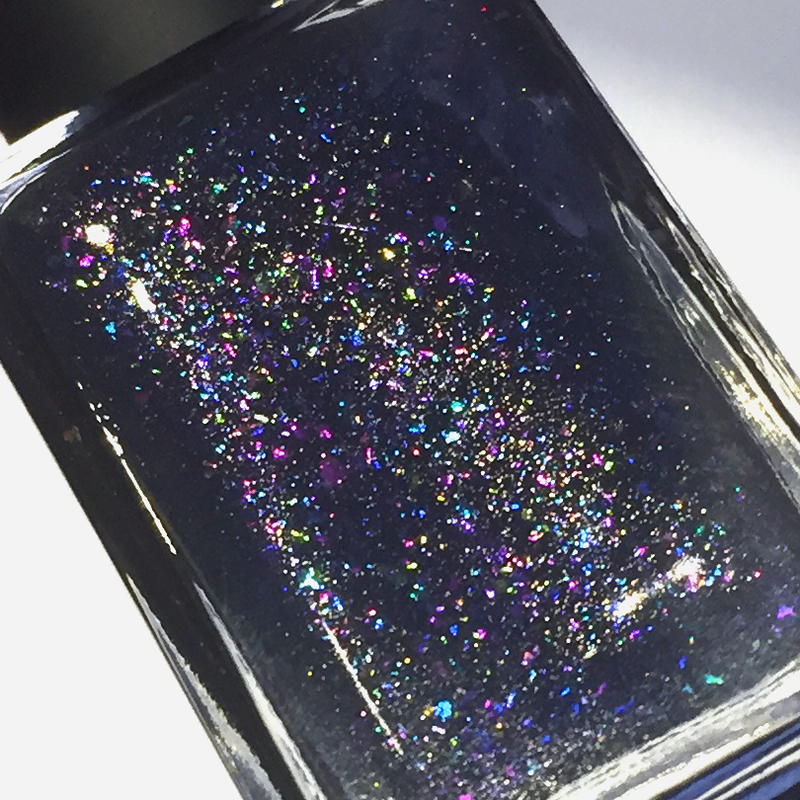 Along with the re-release of the 10 original Secret Agent polishes, there will also be 10 new Secret Agent polishes available, plus the overpour from the Space Traveler collection. 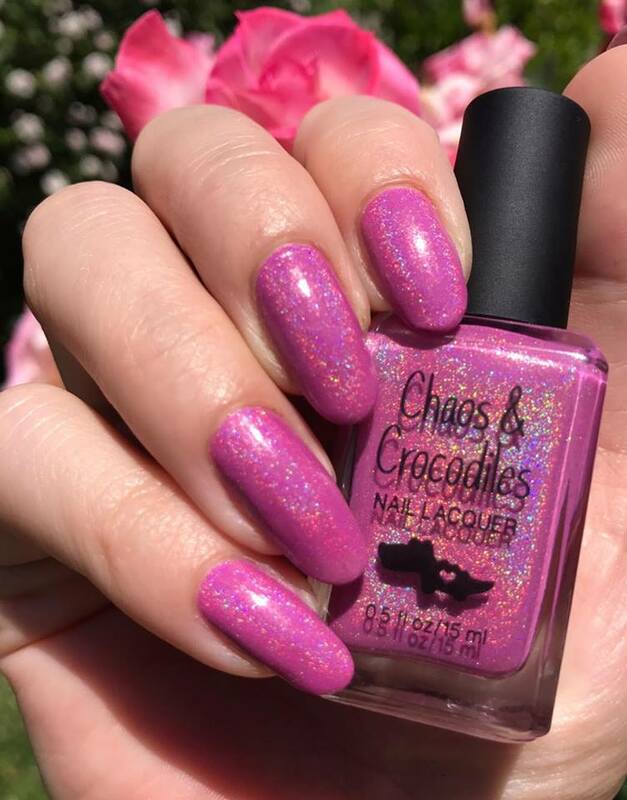 All of the Secret Agent polishes are on pre-order and will be in the shop for about a week, so you can take your time shopping for them. I'm going to estimate a 4-6 week turnaround time on these, since there are so many more polishes than I usual offer at one time, and I also have to continue to work on the foam for the set boxes and that takes me a while to do. 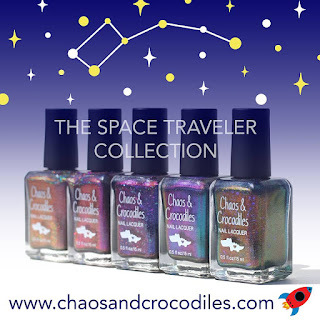 If you are interested in any of the Space Traveler polishes, I recommend ordering what you want from that collection first and then placing a second order for your Secret Agents, as there is no longer a cart hold on the website. I am happy to combine your orders together or ship the Space Travelers out first. Just email me after you order and let me know what you'd like to do! If you miss out on the Space Traveler polishes that you want, don't worry, they will be restocked in the future. There are 3 new types of Secret Agent! They are the New Recruits, the Double Agents, and the Rogue Agents. The New Recruits are done in the same style as the re-released Secret Agents, but in new colors to go with the original set. Asset falls between Night Vision and Cipher, Eyes Only has blue sparkles and falls between Reconnaissance and Sleeper Cell (although it is closer to Recon than Sleeper Cell), and Stakeout is tan and extra holo, in the same style as Decoy. 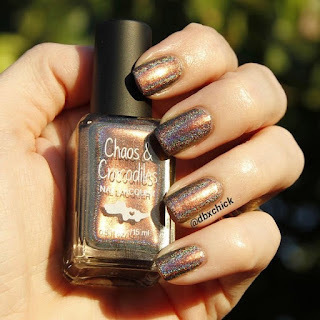 The Double Agents feature shifty shimmer but also have a holo side. 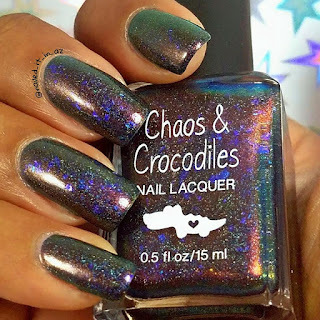 Deep Cover is a brown holo with orange/green shimmer, Espionage is an indigo holo with pink/gold shimmer, and Infiltrate is a blue holo with green/purple shimmer. The Rogue Agents have, well, gone rogue, so they are quite different from the original Secret Agents. Obfuscate is a rainbow iridescent flakie topper, made for when your current polish needs to be given a new identity. 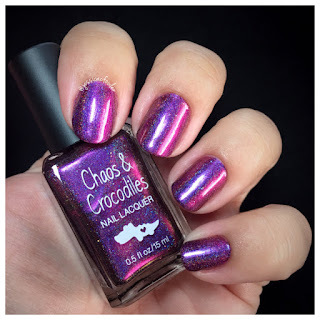 Ambush is a magenta jelly with blue/purple shimmer and gold/green flakies. 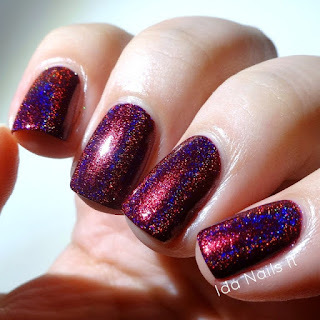 Stealth is blue-purple with teal/purple shimmer and orange-red/green flakies. 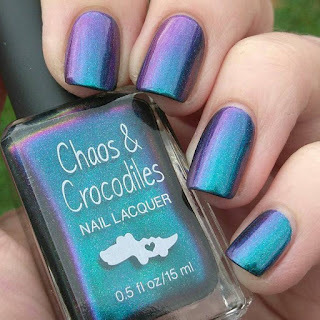 Tactical is black with purple/green shimmer and green/blue and blue/purple flakies. Featured this launch is a new GLITTER enamel pin, so you can let everyone know you're a secret agent! This pin is black with silver glitter, and will be available to purchase in the shop but will also be FREE with a purchase of $75 or more. Note: No code is necessary for this, and you don't have to add it to your cart - it will automatically come with your order. We will have 5 sets for the Secret Agents - 2 sets of 10 that will have the usual set discount and also come in a box, and 3 sets of the new agents that will have the usual set discount. 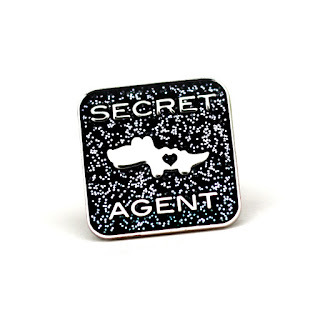 All orders will come with a Secret Agent card and a new magnet, orders of 3 polishes or more will also come with the original button, and orders of $75 or more will also include the glitter enamel pin. 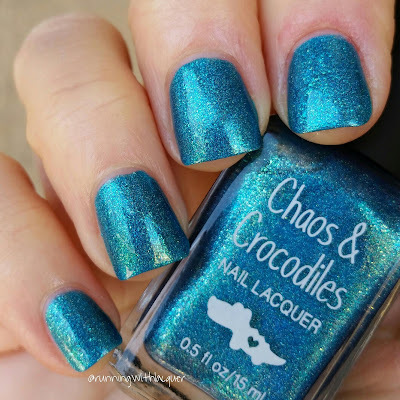 We have 7 wonderful swatchers for the new polishes! Each swatcher has one complete type of new secret agent and 1-2 other new agents. The swatches should all be finished while the pre-order is open, and I will be adding swatches to the listings as they come in. 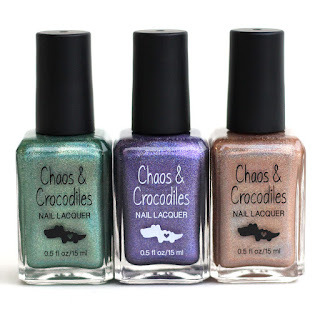 Today’s Chaos And Crocodiles Launch! Join us on a journey to visit some of Chaos’ friends in space! 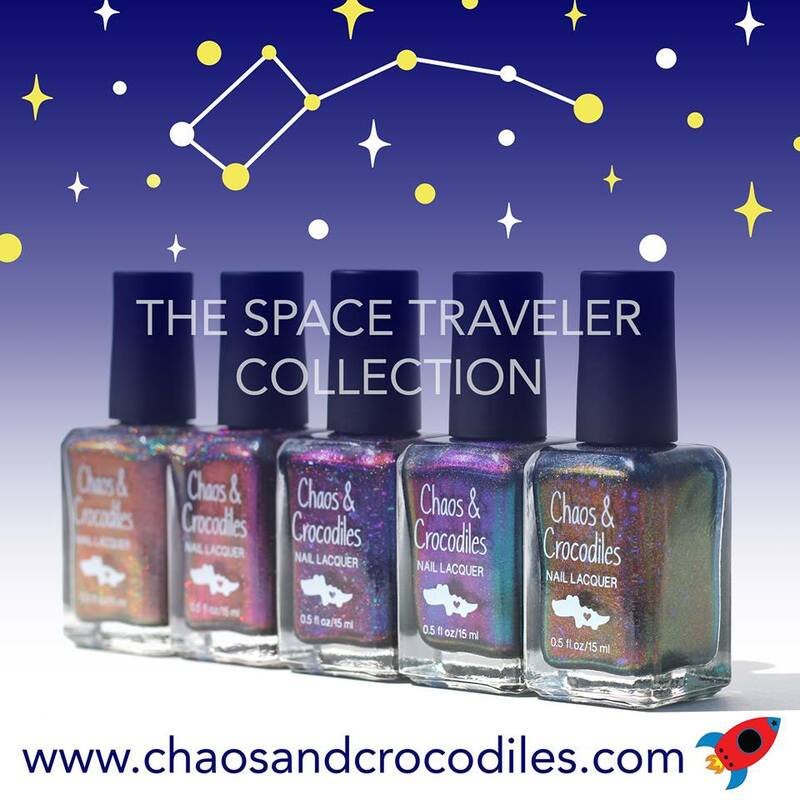 The Space Traveler Collection launches today (Sunday), October 8, 2017 at 4 pm EDT (New York time)! The collection, a large batch mystery polish, and new merch will be available to pre-order in the C&C shop until Friday night. Small batch mystery polishes and current website products will be available in limited quantities only until they are sold out. The estimated turnaround time for this shop opening is approximately 4 weeks. 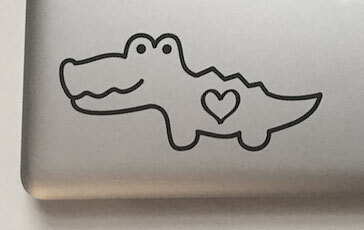 I will always try to get things out as fast as possible (without sacrificing quality), but I injured my finger filling orders earlier this year, so I have been hesitant to do pre-orders. My finger is mostly better now but I still need to move more slowly than I'd like. 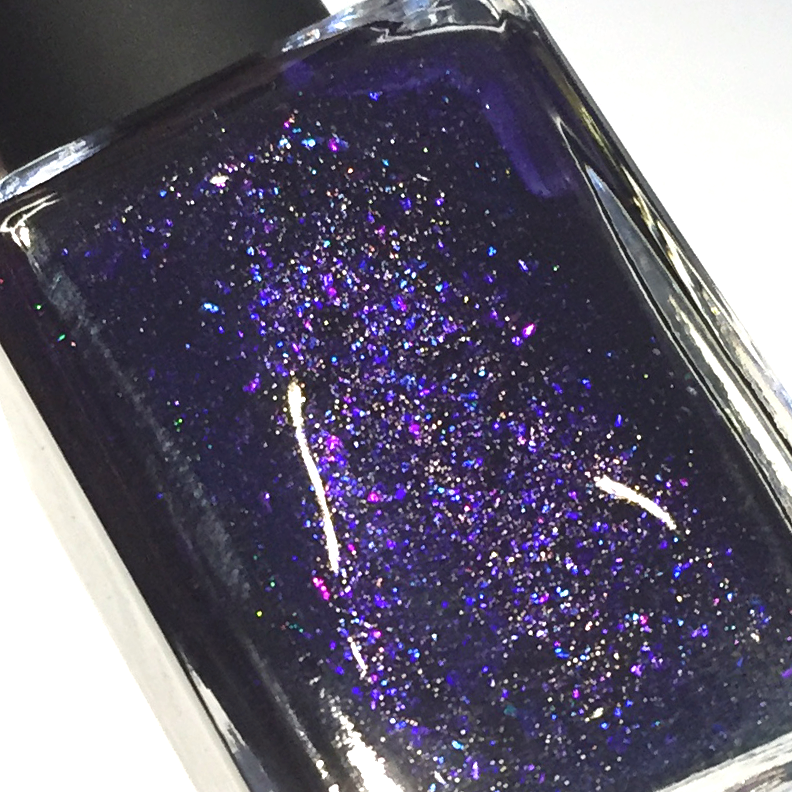 If you need your Space Traveler polishes more quickly, Mei Mei’s Signatures will be stocking the collection soon (in limited quantities). Thank you so much to our swatchers, Tiana, Heather, Jessica, and Misty! 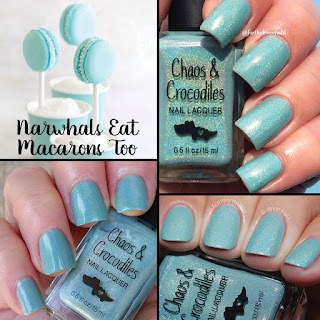 They did a fantastic job with these polishes!! 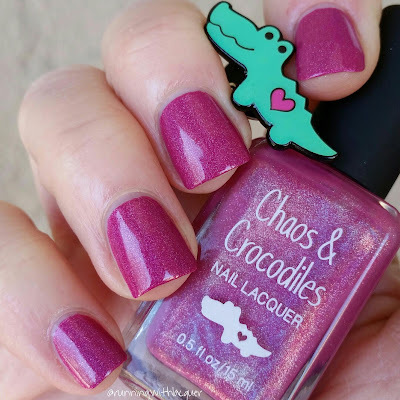 <3 Check out the links for more pics, and visit Jessica's blog for a review of the collection! This is probably my favorite merch that I’ve ever offered, so I’m super excited to share it with you! 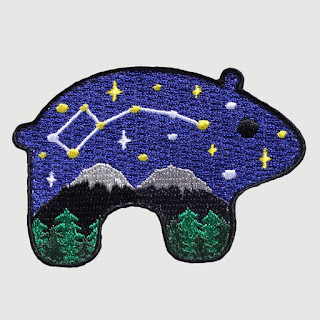 I drew a picture of something I’ve had in my head since I started working on the collection, and I really loved it so I decided to turn it into a patch! The patch is approximately 3 inches wide and 2 inches tall, and it has a 2 piece velcro backing so that you can attach your bear without committing to just one spot. For the first time, I’m collaborating with my husband! 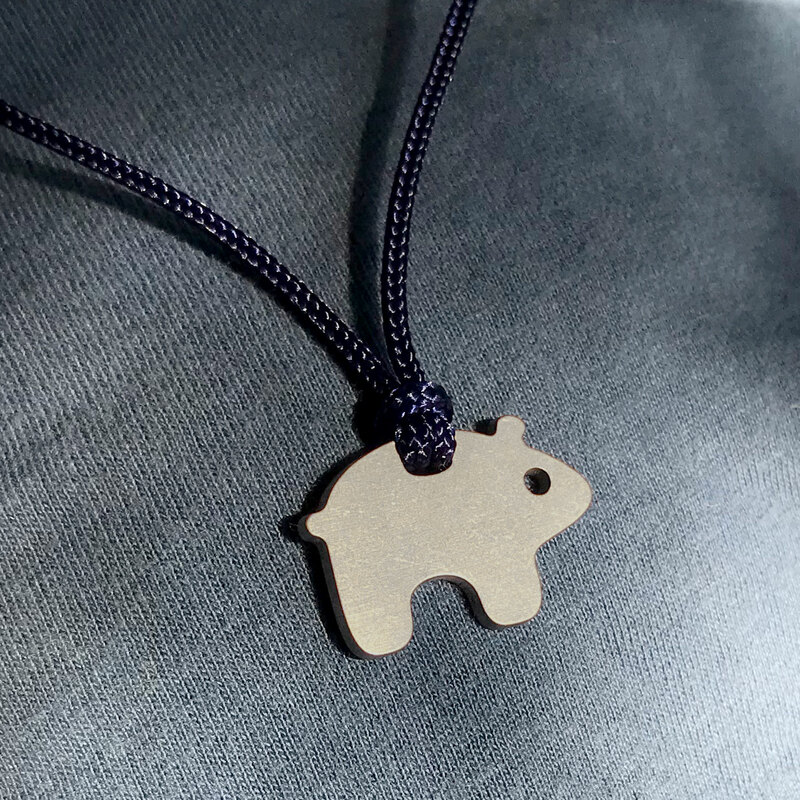 <3 He made titanium bears out of my bear design for us. Titanium is one of my favorite metals because it’s strong but it’s also light. So today I will also have pendants and keychains for you! The pendant is about 1" wide and .09" thick. It will come on an adjustable cord (up to 24 inches). The keychain bear is about .75" wide and .375" thick. 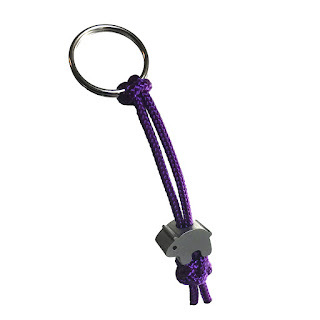 Both the pendant and keychain cord will be available in a variety of colors. You will be able to choose either the usual collection set discount or a collection set with set and patch discount. I am also offering a discount on the individual pieces of new bear gear; you'll get 10% off the patch, pendant, and/or keychain if you use code BEARGEAR when you check out. 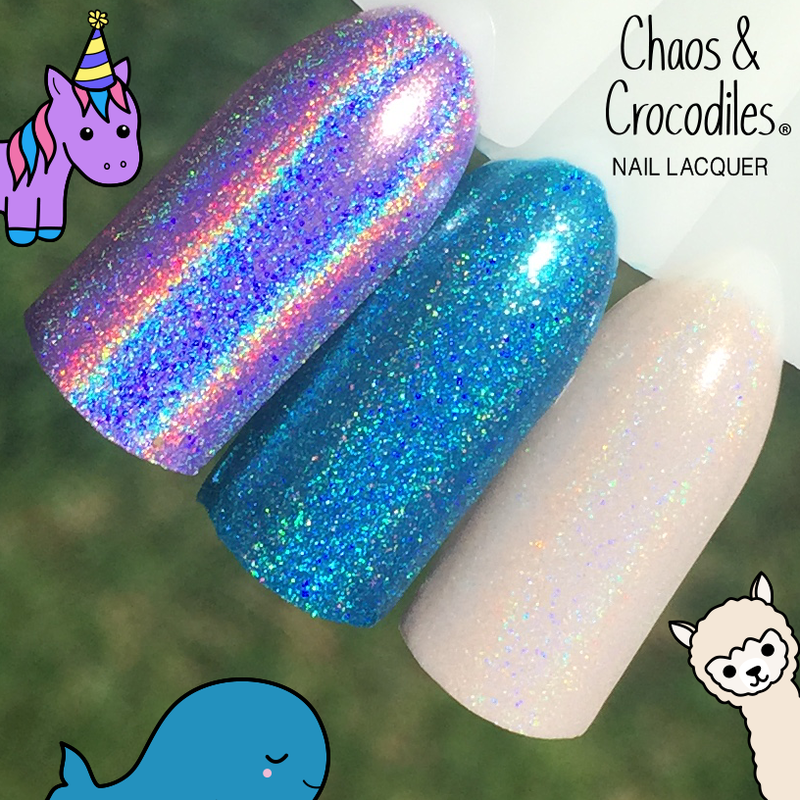 There will be two listings for small batch mystery polishes; one for new small batch mystery polish customers only, and one for everyone (you are a new customer if you have not purchased a small batch mystery polish this year - the narwhal mystery was not a small batch so it does not count). Each listing will have a limit of 2 per person. I know that some people have found it frustrating to get the small batch mystery polishes before they sell out. I have made more of these this round than ever before, but I will also be including a large batch mystery polish listing on the website for pre-order (limit 1 per person). 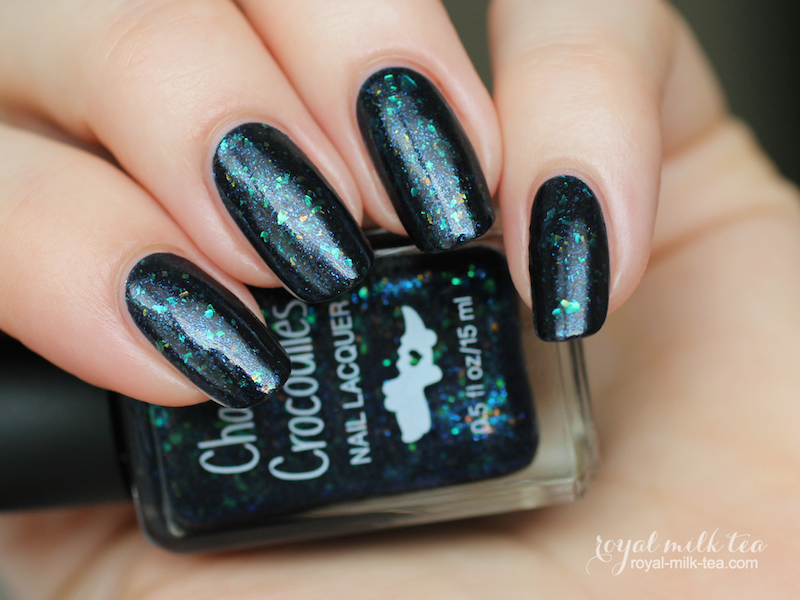 This will be the same polish for everyone, but it ensures that you can get a mystery polish with no stress. I had planned some 5 year celebration events for the end of last month, but unfortunately I had to say goodbye to a pet family member so they were put on hold. It has been a little hard to get back into things, but it’s definitely time. 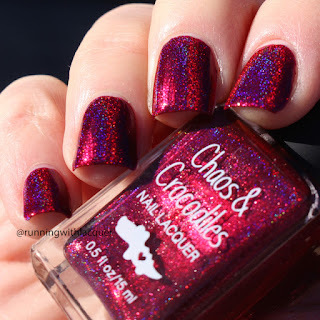 If you’re in the Cove, you may have seen the hint that I posted - tags that I made for new mystery polishes! The first mystery polish sale of the year will be on the C&C website today at 8 pm EDT (New York time). The next will be tomorrow at 1 pm. 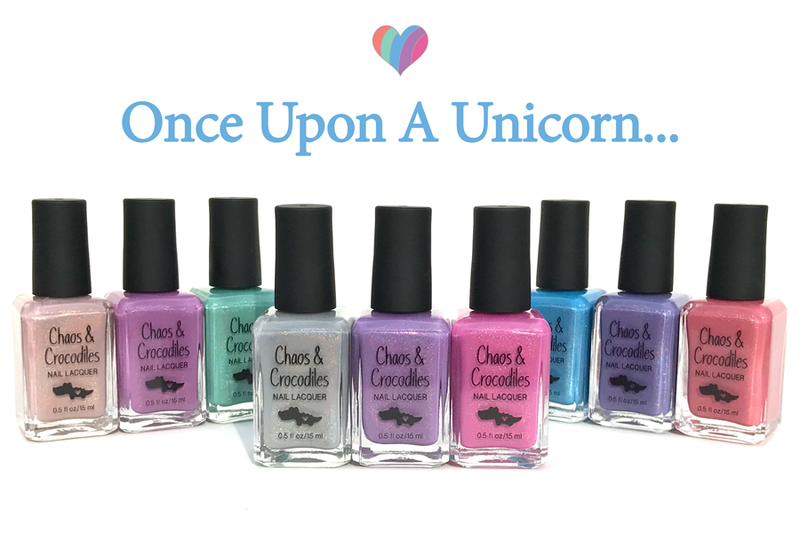 There will also be a small Once Upon A Unicorn collection restock. This will be the last time these polishes are available (at least for a while). The next collection will be launched this fall. I'm also planning for a charity polish sometime in the fall, and some polishes with unicorn pee pigment and flakies in them coming at some point. Those will be limited edition due to supplies. Well, I think that’s all I’ve got for now. Hope to see you tonight! Chaos & Crocodiles Launch and Restock! 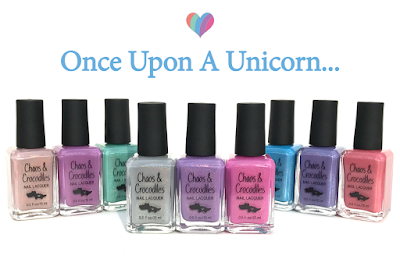 The Once Upon A Unicorn Collection is back with three new polishes!!! The shop will be open for a pre-order today (Sunday, April 23rd) at 9 pm EDT until Tuesday, April 25th at 9 pm EDT. The estimated turnaround time is 2-3 weeks from the day you order. 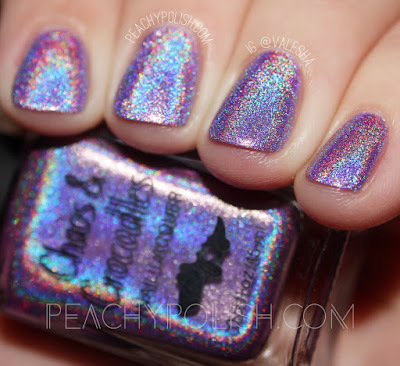 The new releases have the same soft holographic finish as the other six polishes in the collection. The Tallest Tower is grey with a hint of green shimmer, Gallop Through the Mist is purple with a hint of pink-gold shimmer, and Strawberry Tea Party is pink with a hint of turquoise shimmer. 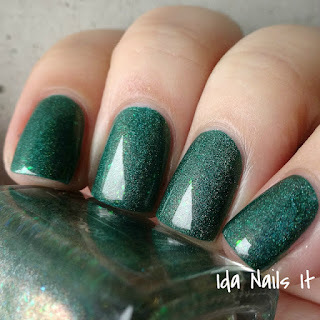 Check out Ida Nails It for reviews of the new polishes! 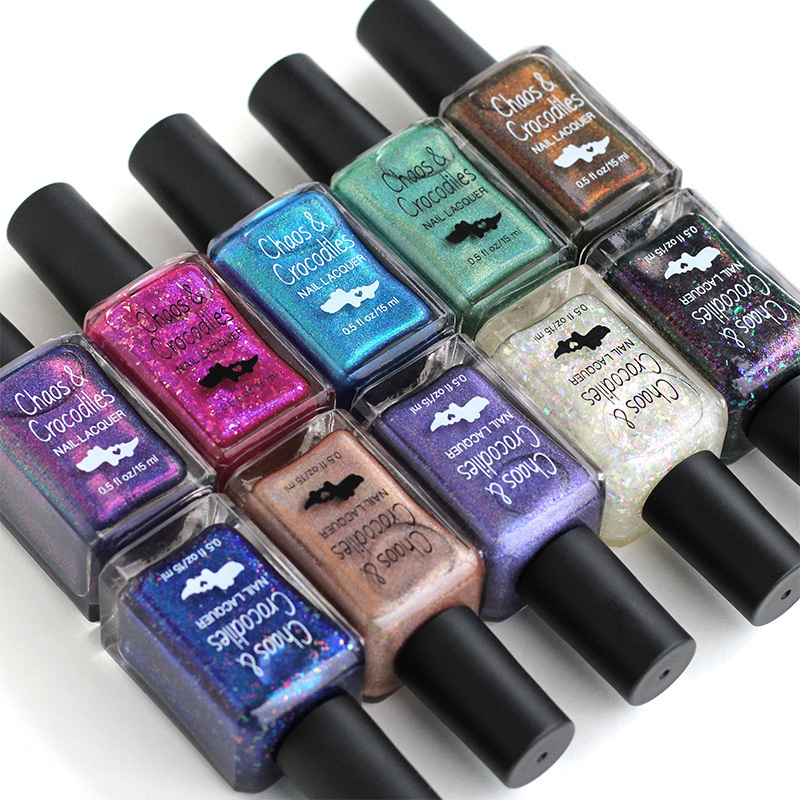 The original six polishes will also be available to pre-order! If you have been wanting something from the Snowbound collection, this is the time to get it! It will be seasonally discontinued after the remaining polishes sell. 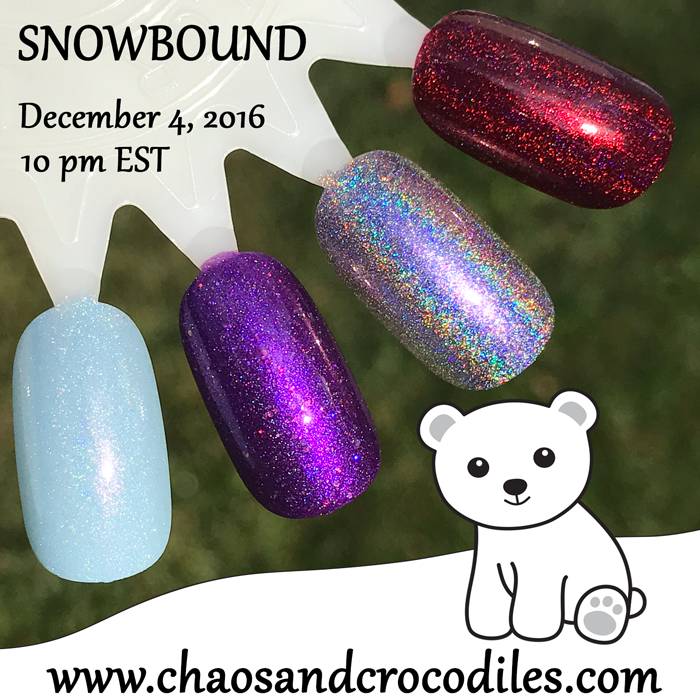 The Snowbound polishes and merch are limited to available stock. Orders with in-stock items only will ship out this week. Orders with a mix will ship with the pre-orders. Chaos & Crocodiles Launch Tonight! Hi!!! 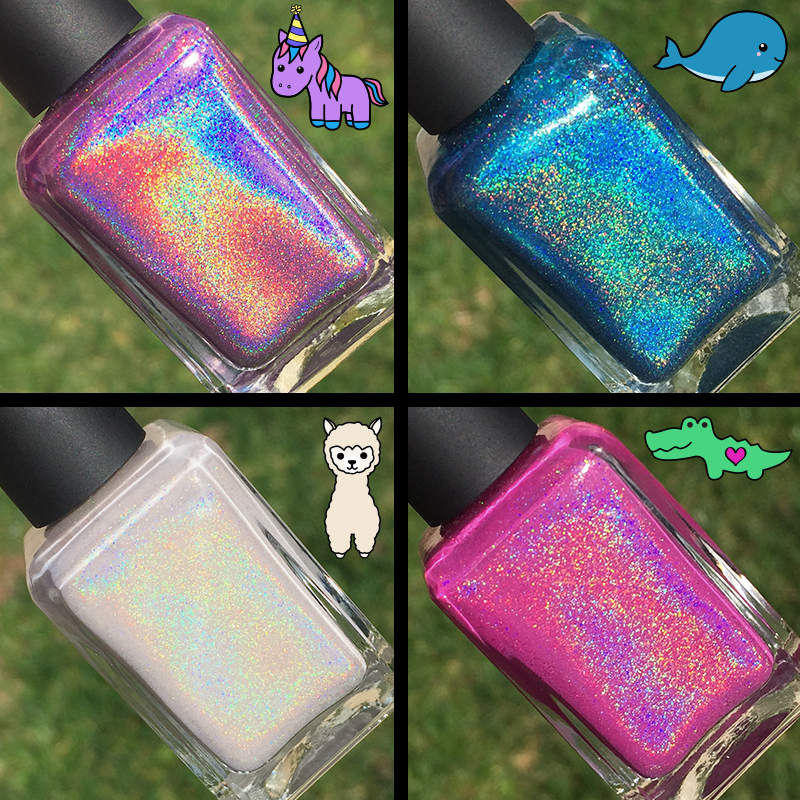 The shop will open tonight (Sunday, December 4, 2016) with four new releases, two mystery polishes, and new and re-released merch! With the holidays coming, I decided to try something a little bit different for this launch to make it easier for less experienced shoppers. The four new releases will be available for a longer time in the shop than usual! I’m not sure if they will be “core” polishes or not yet, I guess that depends on how much you like them. :-P As long as I don’t run out of bottles or other supplies, I plan to stay open through December 23rd. The estimated turnaround time is 1-2 weeks from when you order. The shop will go live at 10 pm EST. I will have bottle shots and nail wheel swatches to start. The official swatches will be posted as they come in, so please check back later this week if you'd like to see swatches before you order. The merch is limited to available stock, so if there’s something you really want, make sure to get there early. The mystery polishes will only be available for one week (through Sunday, December 11th). Group buys are always welcome, just make sure to let me know how many people are in the group when you order. Also, depending on how many polishes you order, your shipping cost may be less than what is calculated. If that happens, you will receive a partial shipping refund. Although I’m sure you did most of your shopping last weekend, I thought it would be fun to offer a special discount. 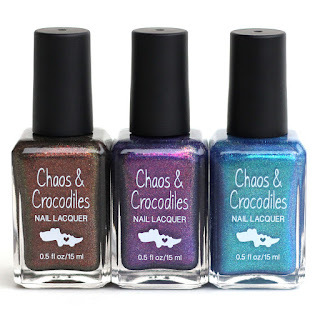 The mystery polishes and all of the merch will be 20% off if you use the code CHAOSALLTHETHINGS (good through December 11th). Also, there is a $2 discount already built into the price of the Snowbound set. 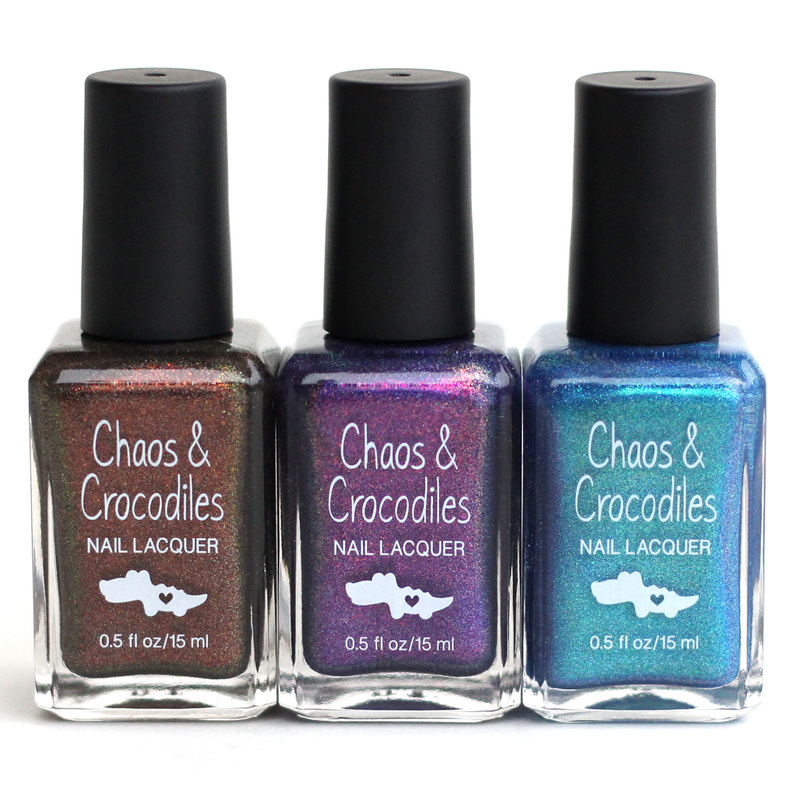 The shop may look empty, but there’s actually a hidden pre-order for three new polishes going on right now! To find the secret link to the C&C shop (and get a 10% discount code), all you have to do is join the Hella Holo Customs Facebook group. Cheshire Rose is a red to blue shifting multichrome holo in a purple-red base. Narwhals Eat Macarons Too is a creamy light aqua holo. 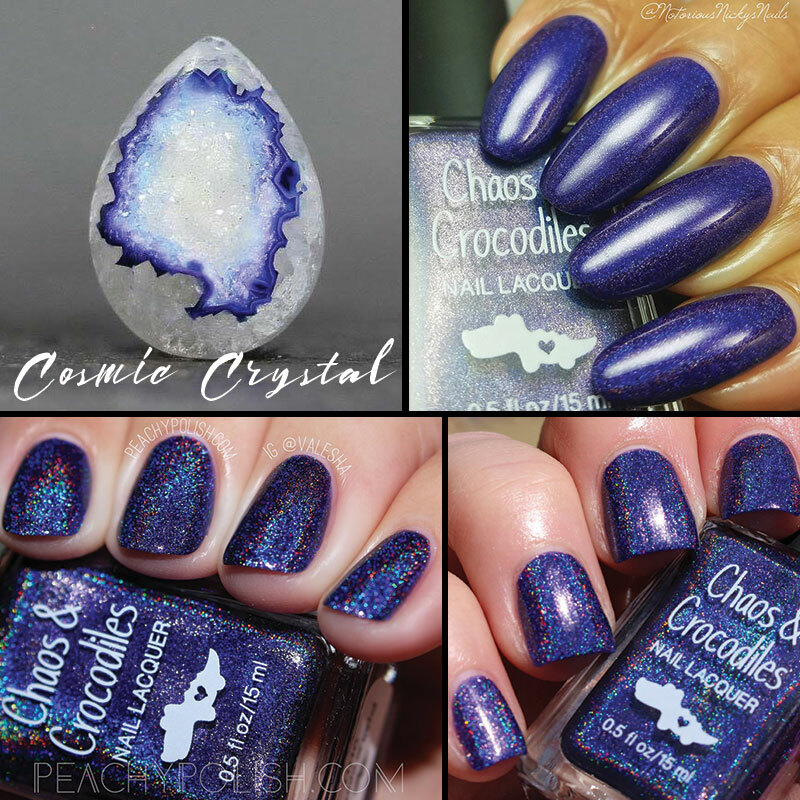 Cosmic Crystal is a dark blue-purple holo. Also, the Chaos enamel pins are back in stock, as well as pocket mirrors! And there are new acrylic necklaces and decal stickers!!! Hi there!!! The shop will open tomorrow (Saturday, April 2nd) at 10 pm EDT for a *partial* pre-order (worldwide shipping). You’ll be able to preview the shop in advance, and then it will go down about 15 minutes before the launch. 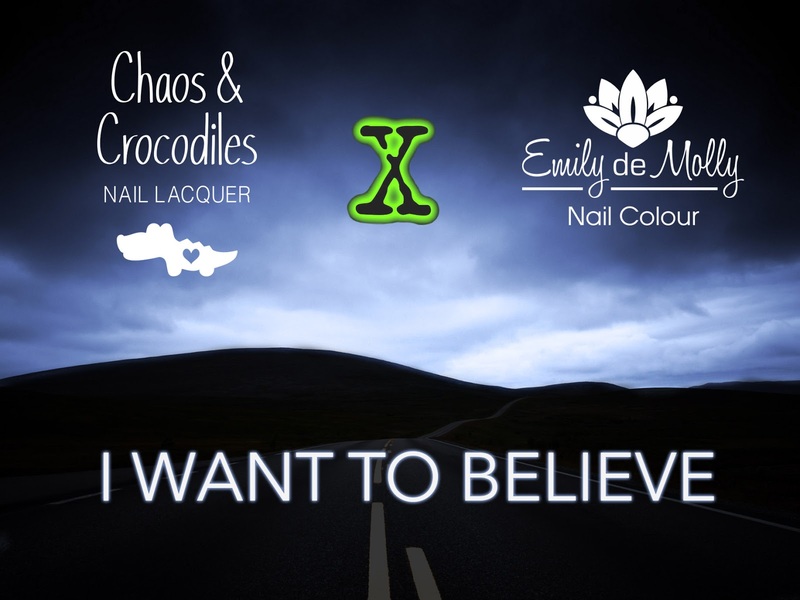 Half of the pins and half of the mystery polishes will go live at 10 pm (as soon as the shop opens), and the other half at 10 am on Sunday morning. 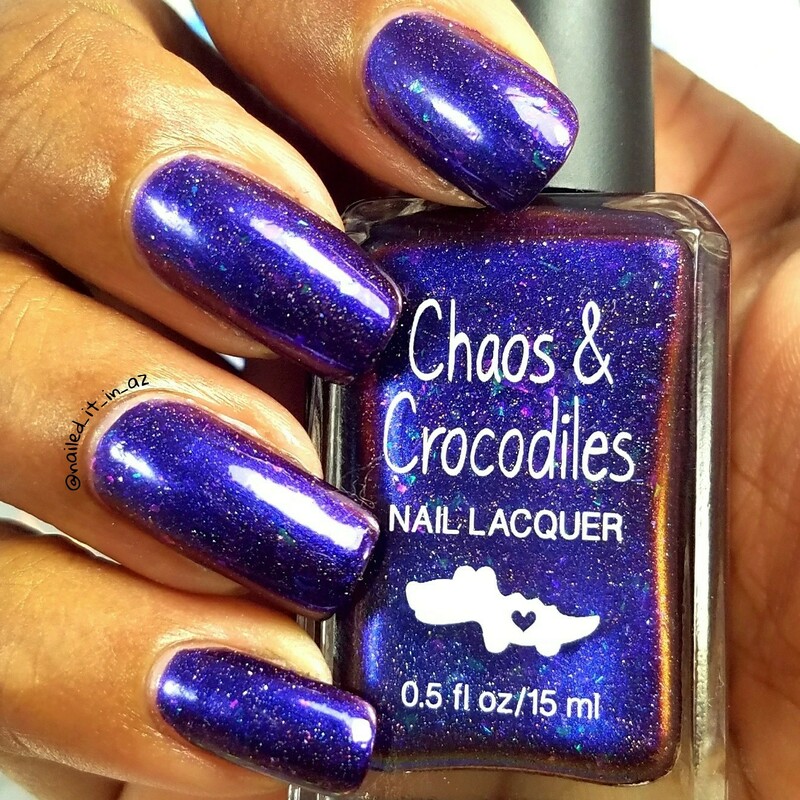 If you purchase just a mystery polish or a just a pin without any pre-order polishes, the estimated turnaround time is 3-6 business days. Some new friends have moved into Chaos’ neighborhood! There’s a pony in a party hat (she loves parties, but she also never takes her hat off because she thinks she is a unicorn), a whale that loves karaoke (and takes song requests, if you have something you’d like to hear), and an alpaca with a plan (she finds organization very exciting and would love to help you with a project). The New Neighbors Collection will be available as a set (at a slightly discounted price) or individually. 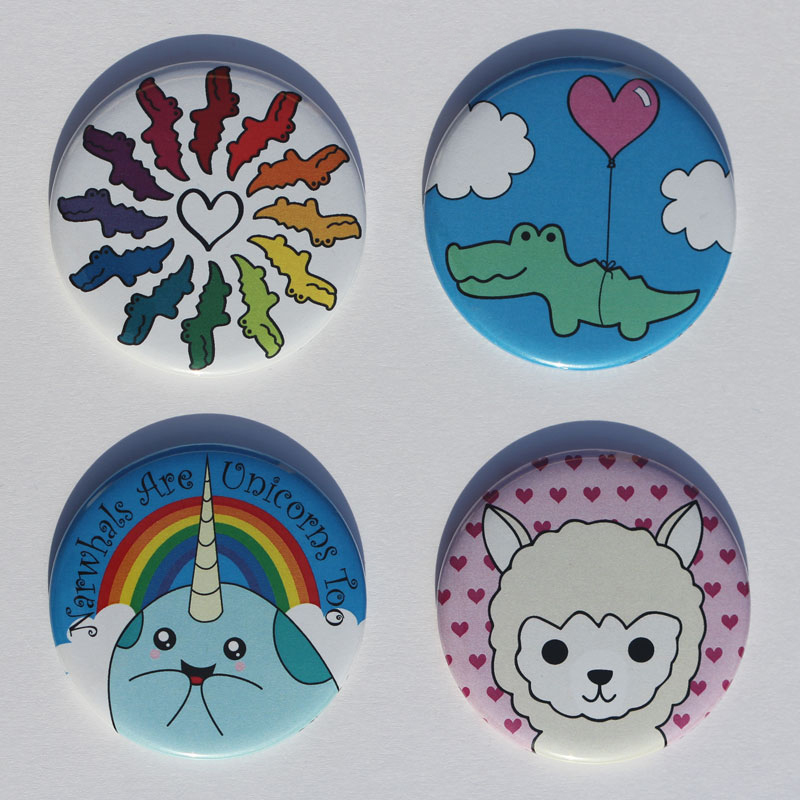 I have been so excited to show you these special enamel pins! 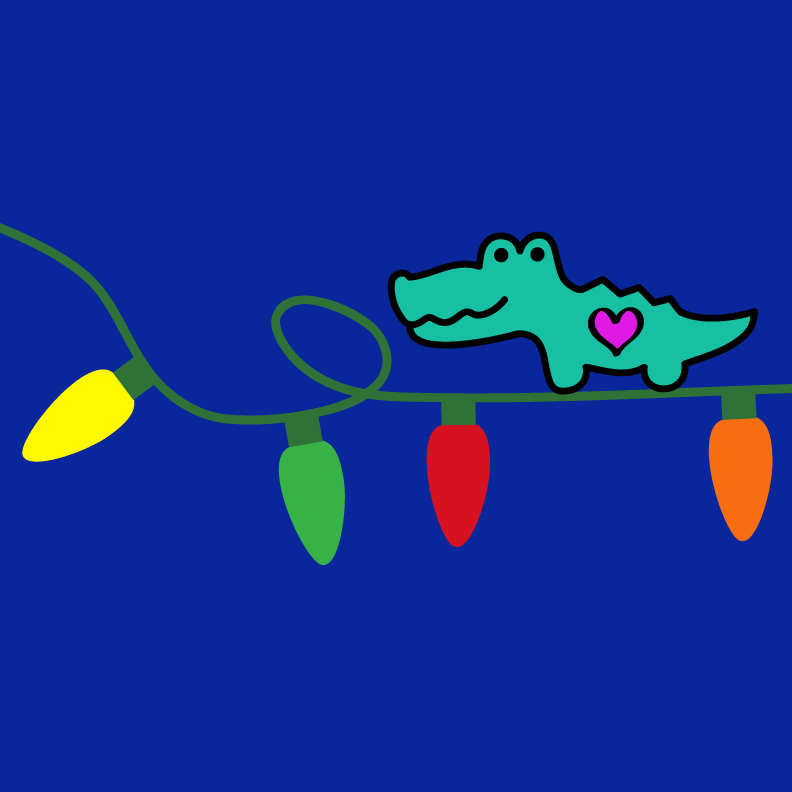 They are about 1 1/8 inches long and they are really cute. 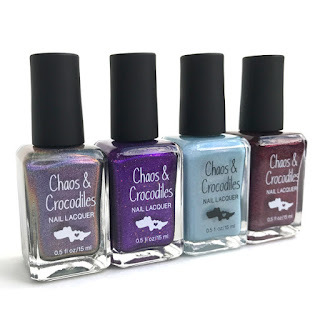 <3 I don't think I'll run out, but just to make sure that there are some available in the morning, I'll launch them half at a time along with the mystery polishes. You will be able to buy them individually, but also as a set with Cuddles From Chaos for a discounted price. 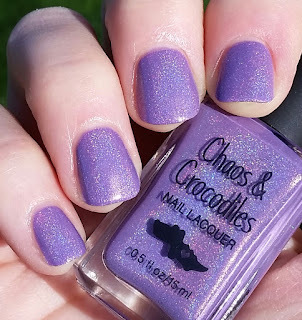 I have been working on making lots of new batches of mystery polishes for you! 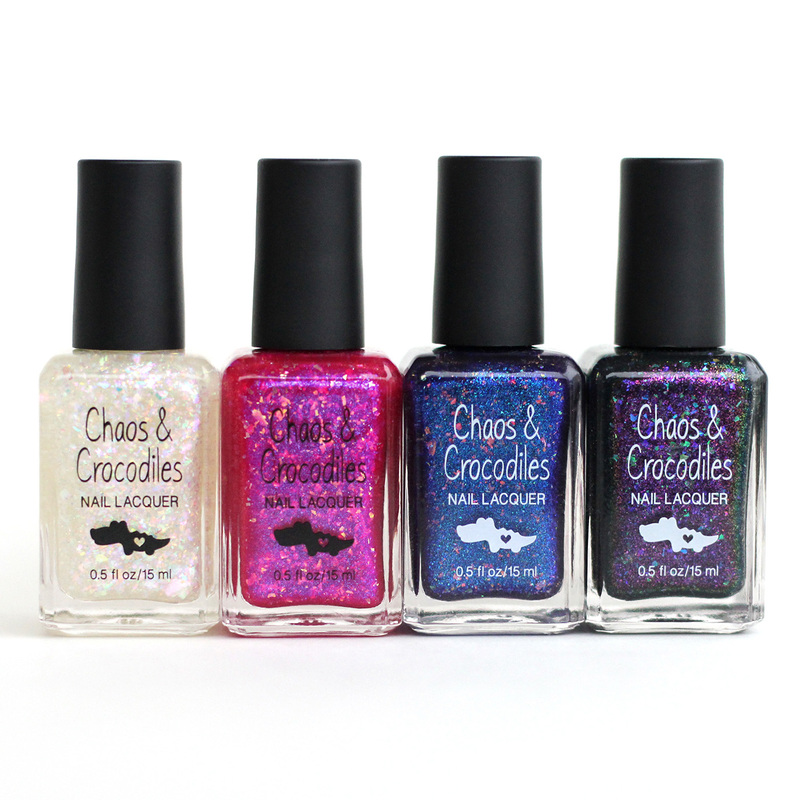 This time, each polish will be from a batch of 1-15 bottles and will arrive in a black satin pouch with a Chaos hang tag. There will be two different listings in the shop. One will be just like the mystery polishes that have been available in the past (soft, medium, or strong holo with shimmer, flakies, and/or microglitter), and the other will be for a polish that has shimmer, flakies, and/or microglitter but does not have any holographic pigment. 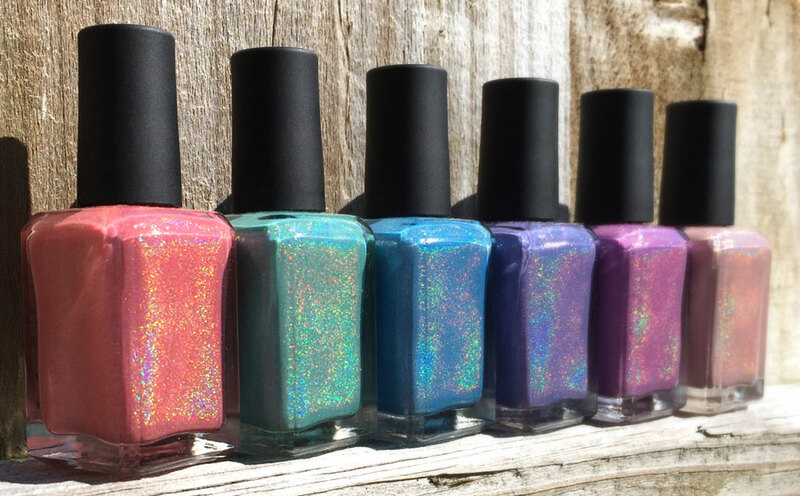 The only limit will be on mystery polishes - one of each listing per customer, please. The 24 Hour Pre-Order Starts Today! 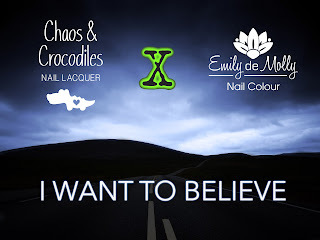 The Chaos & Crocodiles x Emily de Molly "I Want To Believe" collaboration collection goes live at 8:00 pm EST tonight in the C&C shop! Individual polishes and collection sets will be available for purchase with worldwide shipping. These polishes are limited edition - after the 24 hour pre-order they will not be restocked, so make sure to get your order in before they're gone! Today Is A Narwhal Kind of Day! 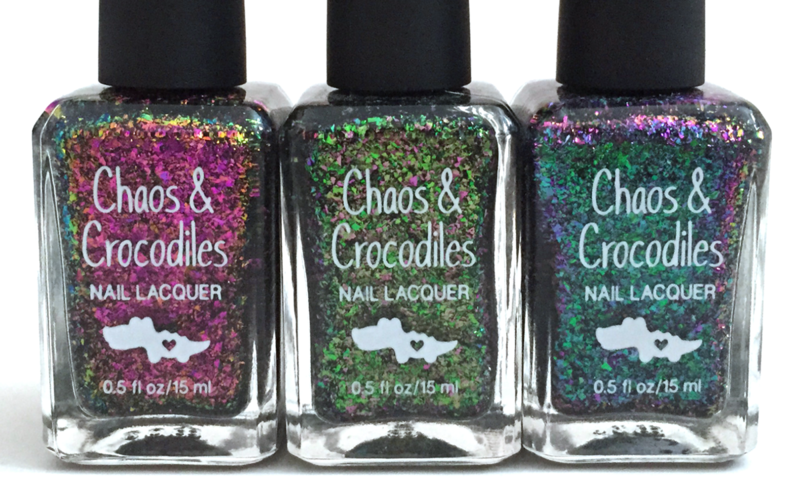 The newest Chaos & Crocodiles collection is now available for pre-order in the C&C shop! 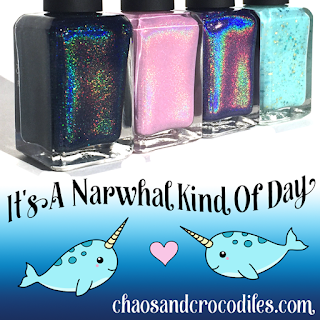 The collection is called "It's A Narwhal Kind Of Day," and it includes three new polishes and one updated past release. The shop will be open until 11:00 pm EST tonight! Hello! I just realized that I forgot to write a blog post earlier this week when I announced the restock, so here it is! 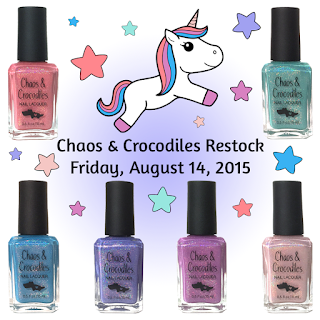 :-) The Once Upon A Unicorn collection will be restocked today (August 14th) at 7 pm EDT. 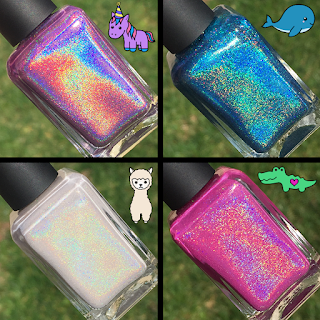 There will also be some unreleased small batch/individual mystery polishes in the shop (limit one per customer). The preview is up, so you can head on over to the site to read all the details. This restock will be open to US and international customers. 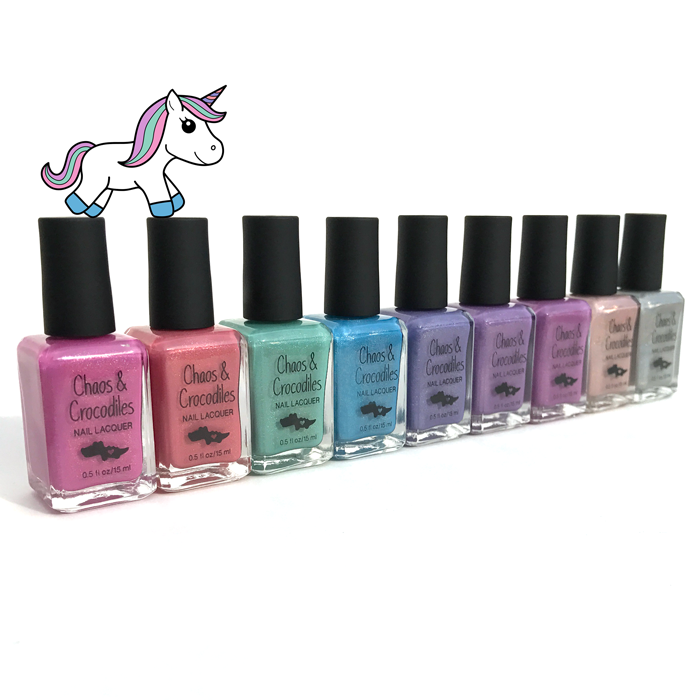 I have gotten a lot of requests for international shipping for the Once Upon A Unicorn collection. I don't usually ship internationally, but because so many people asked, on Monday, March 30th at 1 pm EDT, I will be offering a limited number of full collection sets for international shipping. 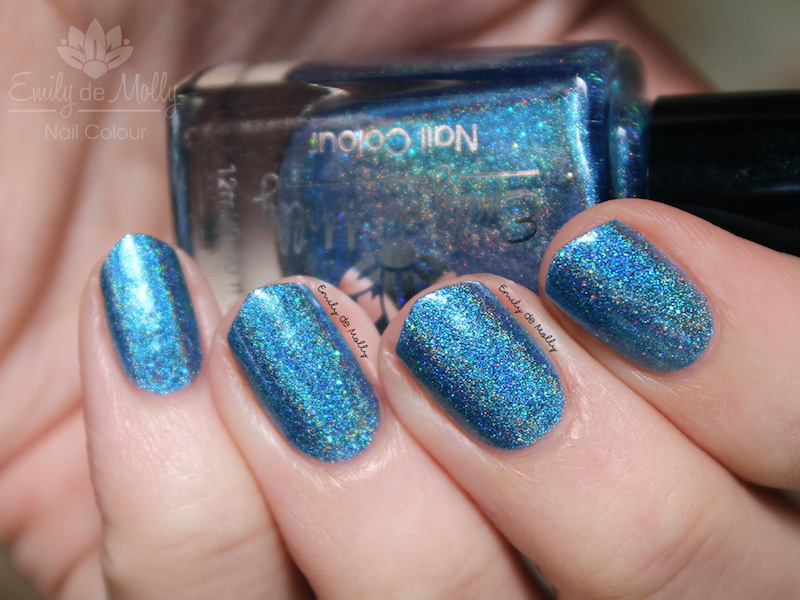 If you miss out, Norway Nails will have the collection soon and Mei Mei's Signatures will be stocking it after her move. Although Chaos loves to dream about hanging out with his dragon buddies, he also enjoys visiting their unicorn neighbors. The Once Upon A Unicorn collection is reminiscent of a unicorn running across the clouds on a rainbowy kind of day - the colors are soft, but they're also cheerful and bright. Each polish is made with two holographic pigments and just a little bit of fine shimmer for added sparkle. 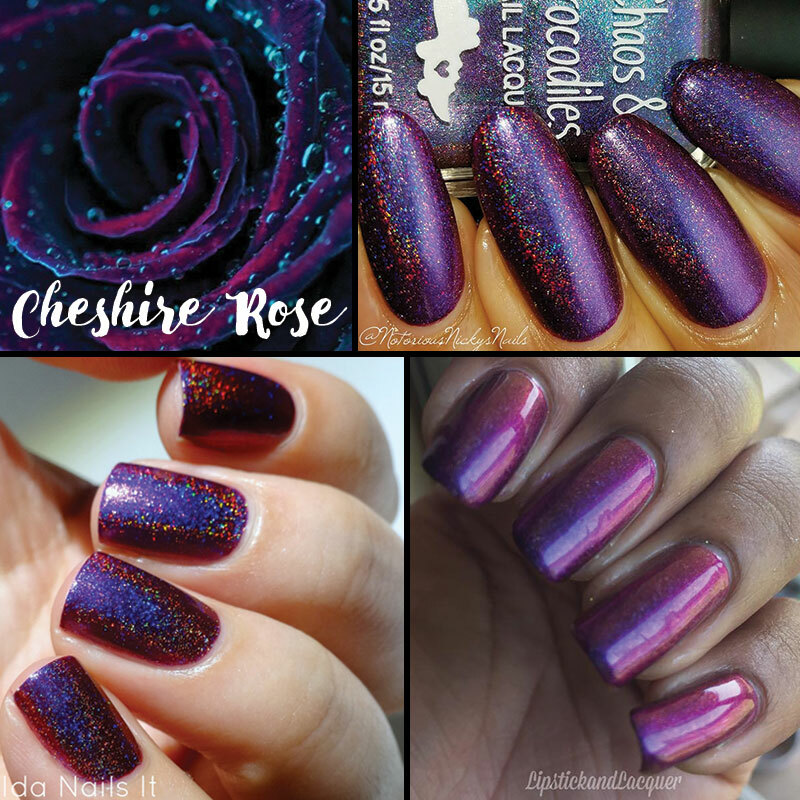 For reviews and more gorgeous pictures of the polishes that will be available on Sunday, please visit the following links! I will have a shop preview up before the launch so that you can check out the listings and view pricing. Thanks so much for reading, and don't forget to enter the C&C giveaway on Instagram if you haven't already! © 2012 Sarey Booth-Neades. Awesome Inc. theme. Theme images by merrymoonmary. Powered by Blogger.